The term ‘Sunday Roast’ is synonymous with British culture – conjuring up mental images of cosy country pubs, jugs of gravy and plenty of yorkshire puds. 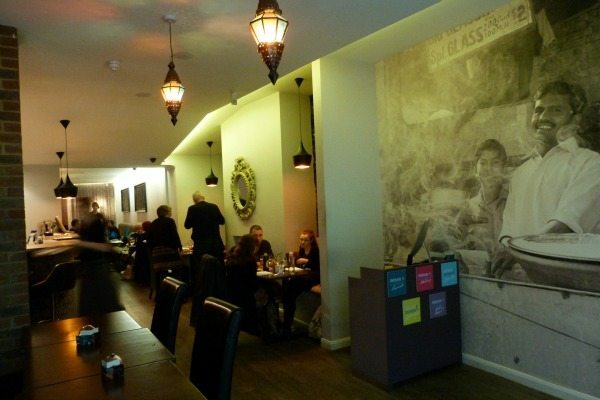 Imagine my surprise then when I was asked to pay a visit to Indian Summer to try out their Tandoori Roast which has recently been relaunched and runs the last Sunday of each month. 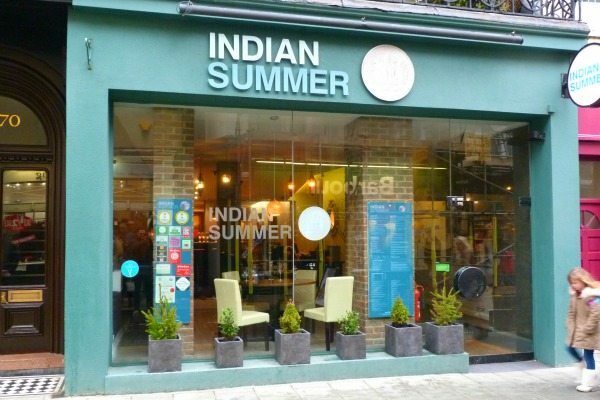 Intrigued, I went to investigate making my way through the busy shoppers of East Street and into the new premises of Indian Summer who relocated to a neighbouring building in May 2015, expanding their size to 94 inside covers and 12 outside at weekends. Re-branding has given the restaurant a modern feel with a huge image of an Indian food market on the entry wall and shiny silver rupees on the logo – a classy nod to Indian Summer’s roots. Greeted by a friendly waitress we were shown to our table in the window and got busy checking out the menu which featured four options; Murgh Makhni (corn-fed supreme of chicken, marinated in Adwadhi spices and served with a Makni sauce), Lamb Zafrani (slow-cooked shoulder of lamb in a papaya, green mango, black cardomom and yoghurt marinade served with a saffron sauce), pork belly vindaloo and a roasted peanut aubergine and tandoori paneer with a smoked malai sauce. Biding our time we made some serious wine decisions, myself choosing a dry and refreshing Viognier Reserva De Gras from Chile and Tom a slightly sweet Californian Riesling, a grape which traditionally matches well with spicy flavours. Asking for recommendations from our waitress we were advised to try the chicken and the lamb, and a good choice it was too although I’m now keen to go back and try the vegetarian option – anything smoky gets my vote! 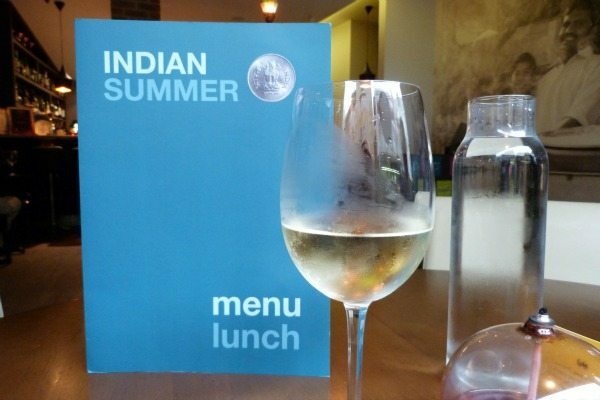 Indian Summer also offer their street food and Thali menu as an alternative to the Sunday Roasts which provides a good option for those dining in a group. 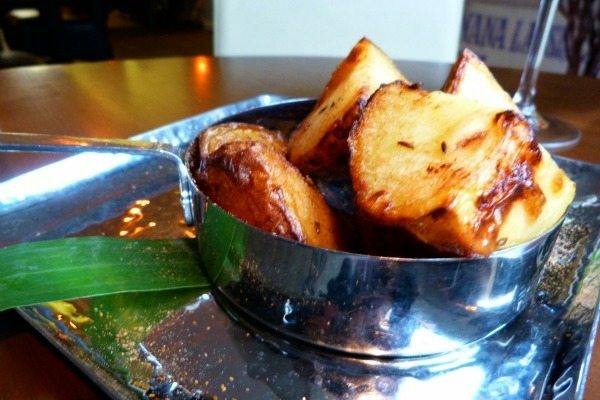 Our mains were served with roasted fennel sweet potatoes, parsnips, green beans, broccoli thoran and traditional roast potatoes, presented beautifully in little pans. My chicken (Murgh Makhni) was tender, juicy and beautifully flavoured with a hint of charring from the tandoor oven, and the sauce was creamy with a slight kick to it. Tom’s lamb was served on a large silver plate, perhaps a little too large for the portion but nonetheless added a real flourish to the presentation. The sauce was milder than the chicken, but unctuous and the perfect match to the flavours of the lamb. What sets Indian Summer apart? 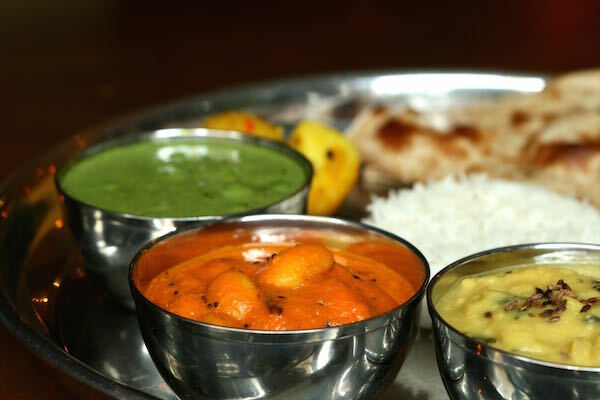 Indian Summer stands tall alongside its Brighton competitors and the powerhouse behind it pride themselves on offering friendly service, authentic Indian cuisine and building a successful following over the last 15 years. A quick glance at the bar shows the plethora of awards they have achieved over this time, including Best Traditional Signature Dish 2015 at the BIBA awards for a dish (Mamaji’s Chicken) that has been passed down through owner, Minesh Agnihotri’s family over the generations. There was certainly a little space left for some pudding, so I plumped for the poached pears in red wine and spices with a ginger and lemon sorbet, and Tom the mango brulee served with shortbread biscuits. 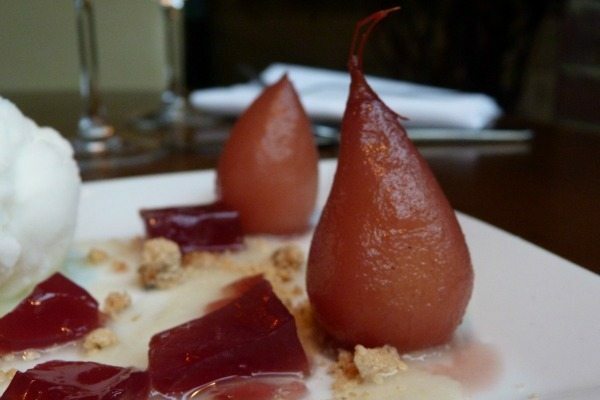 The poached pears were dainty and light – a perfect lunchtime dessert, and the sorbet had a refreshing tang to offset the sweetness of the sauce. 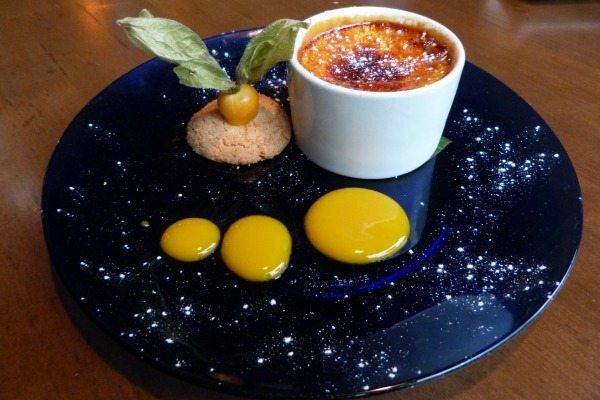 The real star of the show had to be the mango brulee, from the satisfying crackle of the caramel shattering to the creamy vanilla custard centre which enclosed a core of mango puree. Deliciously rich and fruity there was a silver frenzy as our two spoons fought for the last bite. 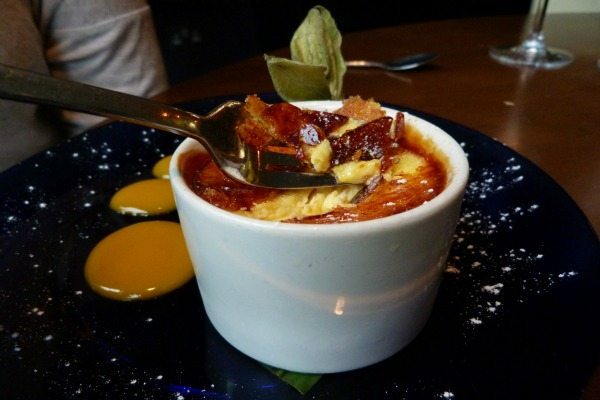 This dessert has been on offer since the restaurant was located in Hove (many moons ago) and it’s easy to see why it has stood the test of time and various menu changes! 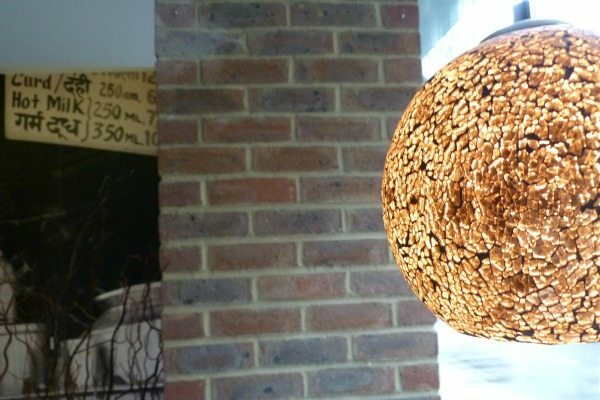 Minesh has always claimed Indian Summer to be one of the only authentic Indian restaurants in Brighton (and the first on the scene 15 years ago). 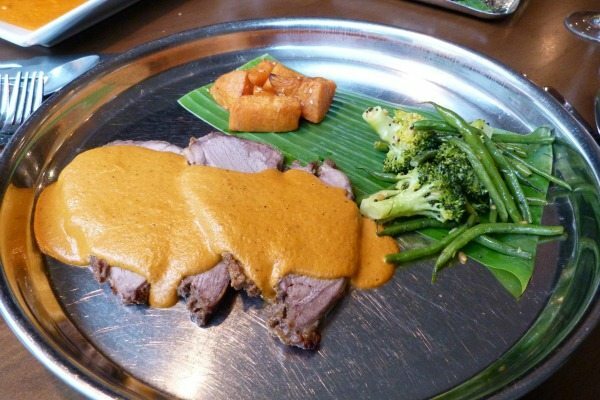 His reasoning for this is that many other curry houses serve Bangladeshi cuisine whereas Indian Summer’s menu is largely focused on dishes cooked by his family in Gujarat (India’s westernmost state) fused with flavours that have been developed whilst working with other talented chefs over the years. If you find yourself intrigued about the processes that go into creating such intricate flavours then you’re in luck as Minesh offers private cooking lessons within a 10 mile radius of the restaurant, giving you the chance to recreate dishes in the comfort of your own home. It’s another personal touch that sets Indian Summer apart from the rest and I’ve already booked in to learn the tricks of the trade in late March… watch this space! 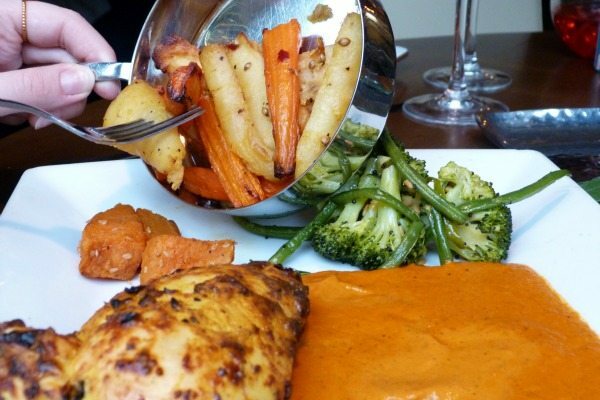 The idea of a Tandoori Roast may not be traditional, but leaving the restaurant I felt that the essence of a Sunday Roast had been there in force – authentic flavours and a relaxed and family-friendly atmosphere. When it comes down to it, isn’t that what a British Sunday lunch is really all about?